What brings peace to my world is to cook in the kitchen. When I feel like I have chaos in my life, it is usually also true that I am doing little of the things that I love. It doesn’t take much to melt my stress away by getting some fresh air and cooking up a storm in the kitchen. There is nothing better than a nice healthy home cooked meal. I texted my darling this morning say “I’m going to cook a nice meal for us tonight”! 5pm rolled around and I thought what the heck am I going to make?? I looked in my fridge to see no meat ready to cook…but I had eggs and sweet potatoes..hmm??? 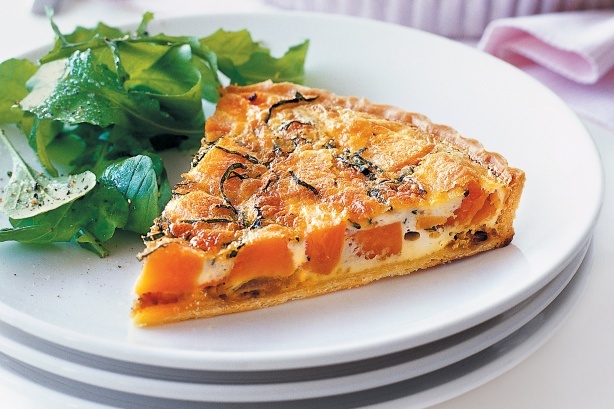 Googled sweet potato quiche and came up with this marvelous recipe for “Sweet Potato and Caramelized Quiche“..sounds delicious! Quick, healthy, hearty and cheap! How great is that! In a medium saucepan, add your sliced sweet potato, season with salt and cover with water to boil. This takes about 10 minutes to soften up. Meanwhile in a frying pan, add your olive oil and sliced onions. Saute for about 8 minutes, then add 1 tsp of brown sugar to caramelize the onions. Saute for another 2 mins. In a pie pan, whisk your eggs and milk. Add a dash of salt and freshly ground pepper for flavour. Mix in the sweet potatoes and caramelized onions. Bake in the oven at 200F for 40 minutes. Tada! You have a great hearty but light meal for dinner tonight! Enjoy!